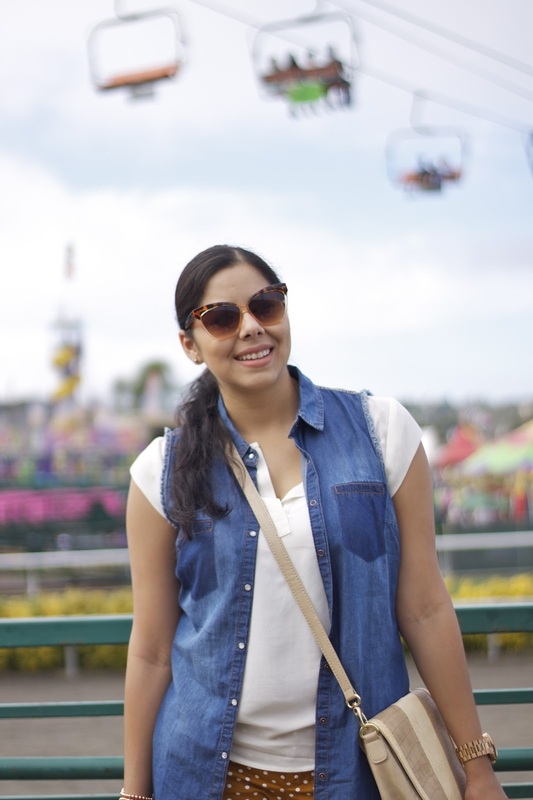 The San Diego County Fair (also known as the Del Mar Fair) is a must when you live in San Diego! 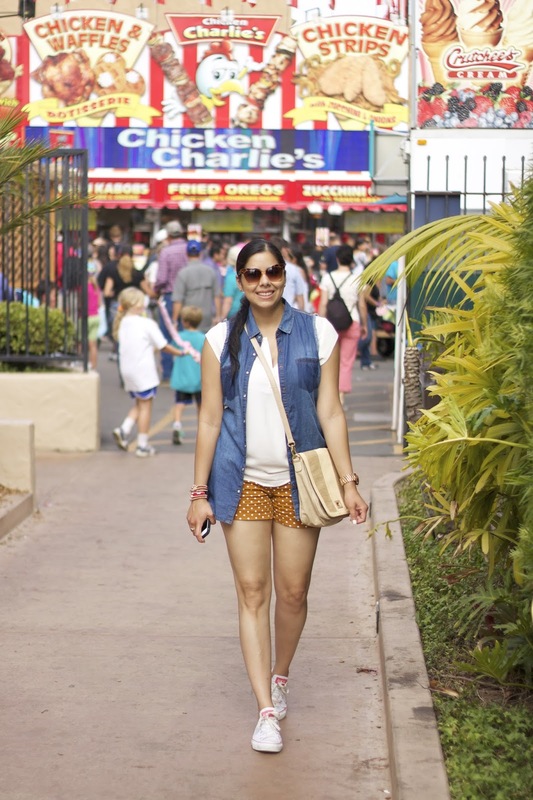 The fair opens every Summer with all the traditional carnival rides, festival games, concerts and the best part for me, the (fried) food concoctions. This is the place where you can find bacon nutella pizza, fried avocados, and fried klondike bars (ew and yum)! This year's theme was "Game On" with a game themed entrance and a room full of vintage arcade games (sad that they are considered vintage considering those are the arcade games of my time). To walk around, I had to be comfortable and my converse shoes are the epitome of comfort! 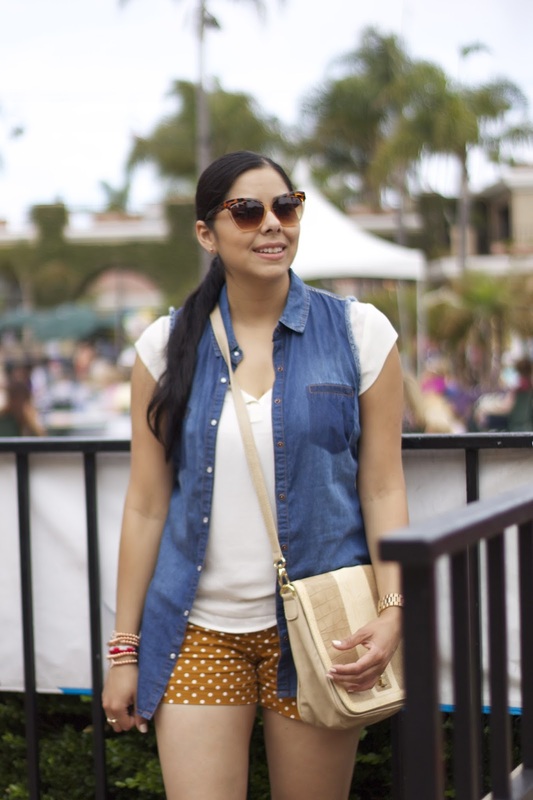 I paired it up with some other comfortable Summer pieces- shorts, this JustFab crossbody, and my chambray top as a vest. Please note my top was extra flowy to accommodate all those fried goodies. 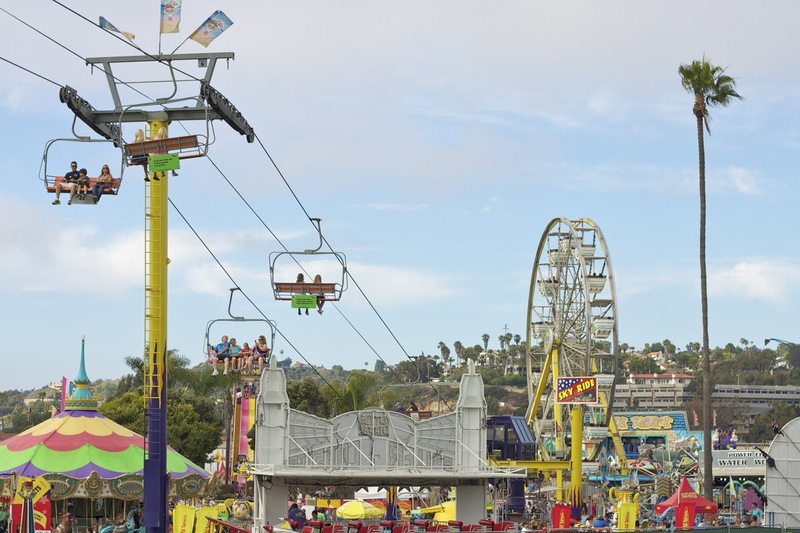 If you're in San Diego the Fair ends 4th of July, after which they clean it up and get it ready for the racetrack season! P.S. Don't forget to enter my Fashion Loopy Arm Candy Set Giveaway! Such a cheerful place to hung around, like your polka shorts! This looks so fun! Love those shorts. Such an adorable look! And right on trend, too!!! You look SO cute! I need to make a trip to the fair soon! I've heard wonders about the SD fair! It looks like so much fun, and speaking of fun, those shorts are adorable! Bacon Nutella Pizza?!!!!!! Holy cannoli!!!!! Sounds amazing! I want to visit the S.D. fair it sounds like a blast! Love your outfit girl! Have a wonderful 4th of July:)! Love the casual outfit! Something I would want to wear going to the OC Fair too! Really looking forward to it! 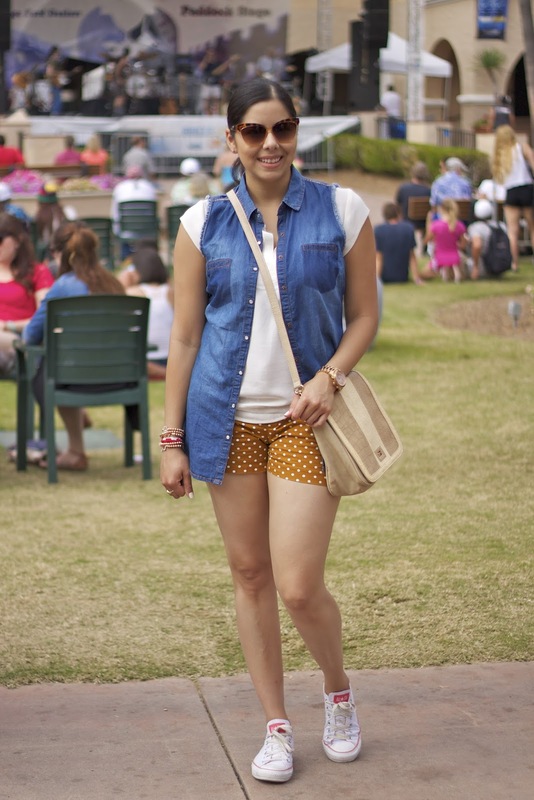 you look great and really really crushing over the polka dots shorts! 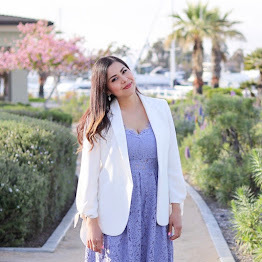 love this preppy look on u! xO! super cute ootd and i love the last picture!! STRUT Fashion Show and Event Pics!